Anna Mae (Gorrell) Rowland, 97, of Gladstone, Missouri, passed away on Saturday, May 12, 2018, at St. Luke's Hospital of Kansas City. Visitation will begin at 12:30 pm, followed by a service celebrating Anna Mae's life at 1:30 pm, on Monday, May 28, at Park Lawn Northland Chapel, I-35 at State Route 291, Liberty. A graveside service and burial will follow at Big Creek Cemetery, Bosworth, Missouri. Anna Mae was born May 30, 1920, in Kirksville, Missouri, the elder of two daughters of Dr. Homer A. Gorrell and Jewell (Barnes) Gorrell. Along with her parents, Anna Mae was preceded in death by her husband of over 50 years, Harold W. Rowland; sister, Ruth Gorrell Erdel; and beloved sister-in-law, Virginia Rowland Jones Haas. As an infant, Anna Mae moved with her parents to Mexico, Missouri, where her father practiced medicine for over forty years. She and her family were active members of the First Baptist Church of Mexico, and she was always thankful for her loving parents and the Christian home in which she was raised. Anna Mae was a graduate of Mexico High School, and later graduated in 1940 from William Woods College, becoming the first of many in her family, including her sister, two daughters, niece and nephew to attend college in Fulton, Missouri. Following graduation, Anna Mae taught in three rural schools in Audrain County. Her work was often in one-room schoolhouses, where she began the day stoking the fire and teaching children. Her last assignment was at Rush Hill School, where she taught first through eighth grade students. Anna Mae formed many lifetime friendships during her teaching years. In the late 1940's, Anna Mae and Harold moved to Carrollton, Missouri, where they established Rowland's Shoes. During the twenty years that Anna Mae lived in Carrollton, she was a member of the Carrollton United Methodist Church, Carrollton Women's Club, Beta Sigma Phi, Child Study Club, and worked as a teacher's assistant at Adams Elementary School. In 1969, Anna Mae and her family moved to the northland area of Kansas City, Missouri, where she resumed work as a teacher's assistant. Her last assignment was in kindergarten at Pleasant Valley Elementary School. In the fall of 1974, Anna Mae joined her husband at Showalter Shoe Company in downtown Kansas City, working in the office maintaining personal fitting records by hand and providing customer service found in a bygone era. Anna Mae became a member of the First United Methodist Church of North Kansas City. 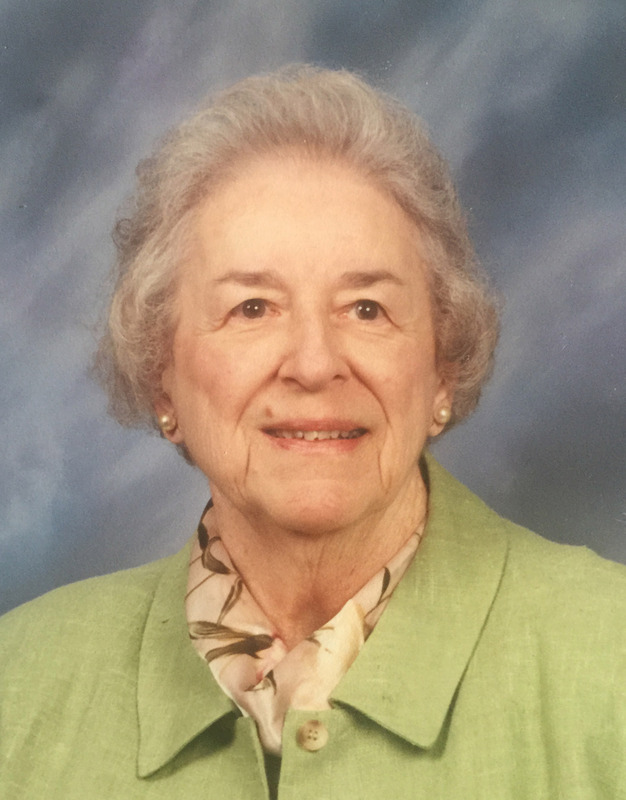 She was a member of the Adam Yager Chapter of the Daughters of the American Revolution, and was an associate member of DAR chapters in Mexico and Carrollton. Anna Mae was also an associate member of the William Henshaw Chapter NSDAR in Berkeley County, West Virginia, named for the patriot of whom she was a direct descendant. Survivors include her daughters, Carolyn Rowland Comer and Rebecca Rowland Reynolds (Peter); and grandchildren, Christopher Comer (Amy) and Caryn Comer Woolley (Michael). Anna Mae was affectionately called "Mae Mae" by her great grandchildren, Austin and Ally Comer and Brooks and Annabelle Woolley. She also leaves other family members, including Stephanie Moore, her husband Sam, and their daughters, Elizabeth and Ashlyn, who were like grandchildren and great grandchildren to Anna Mae. Memorials are suggested to the Carroll County Historical Museum, 510 North Mason Street, Carrollton, Missouri 64633. Our deepest condolences to you and our prayers are with you at this time of loss. We will miss Anna Mae very much. She was a wonderful woman and mother. All of our love! Becky, Want you to know that you and your family are in our thoughts. Your parents were very special to our family, just never enough time to visit as we should had. Cherish the fond memories that you had together. I am so sorry for your loss. She was a very special lady and I am glad I had the chance to know her and Becky. WE ARE SORRY FOR YOUR LOSS. SORRY WE ARE UNABLE TO ATTEND THE SERVICES. WE HAVE MANY FOND MEMORIES OF THE GORRELL FAMILY. OUR THOUGHTS AND PRAYERS ARE WITH YOU. SORRY WE WILL NOT BE ABLE TO ATTEND THE SERVICE AT PARK LAWN OR THE BURIAL AT BIG CREEK CEMETERY. OUR THOUGHTS AND PRAYERS ARE WITH YOU.